It’s a Purple Flag for Southend ! Great news another flag for Southend and it’s the first purple flag in Essex. Well Done the Police and Town Centre Partnership. Southend has a new flag to add to its impressive haul of five blue and four green ones – a PURPLE flag. 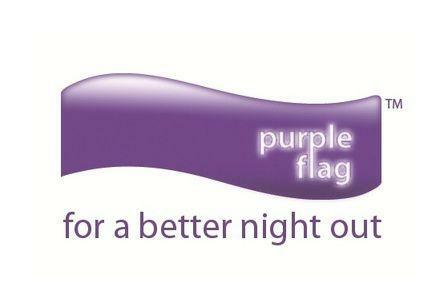 Purple Flag is a new accreditation scheme which recognises excellence in the management of town and city centres at night. just as Blue Flags are a guarantee of good beaches, Purple Flags act as an indicator of where to go for a good night out. The standard is only awarded to entertainment areas which are judged to have met a strict set of criteria. To date only 25 Purple Flags have been awarded but today (Wednesday 25th April) the Association of Town Centre Management (ATCM) has announced five new recipients. They include Southend’s High Street and Sea Front, the first area in Essex to have its night-time economy recognised. In awarding the Purple Flag the ATCM rated Southend as ‘above standard’ in two of the five judging criteria – ‘Wellbeing’ and ‘A Broad Appeal’. The new MiTo, where less is certainly more, caught my eye and it set me thinking when the Alfa Romeo magazine, full of fancy photography and cars in clever settings, landed on my doormat this week. Whilst I have always encouraged the development of policies that promote alternative fuels and low pollution vehicles I had not realised quite how far the petrol engine had come! So a few minutes on the internet revealed that Alfa are not alone in their 67mpg low emission, clean car. Other more mainstream manufacturers are now producing similar engines for vehicles bigger than a Fiat 500! I have never believed that people will be forced from their cars onto buses or trains or that Labour’s ridiculous parking policies would ever do more than cause problems. Sticks are not the answer, nor is reducing parking in new developments to zero in the false belief that if you do not have an off road parking space you will not have a car, nor are punitive parking charges at stations etc. nor is the anti-car rhetoric so beloved of some. What we should be concentrating on are the carrots- free parking in council car parks for vehicles that are both tax band A and London Congestion Charge exempt, free or reduced resident on street parking permits for these cars, more and cheaper parking at stations to encourage greater use of the train, Councils leading by example through incentives to staff who opt for high mpg and low emission vehicles, perhaps even a Government tax incentive on their purchase and I am sure there are plenty of other ideas that could be developed. Southend is already one of the cleanest towns, let’s keep it that way, let’s actually encourage people to buy cleaner, greener cars, to use the trains, to cycle more and take the bus occasionally. That way it will also be more pleasant to walk and you never know we may all be healthier too! The Alfa MiTo Twinair Engine has won for major awards and is available from April, I quite fancy one ……. South Essex Homes Should evict these people if found guilty. Southend-on-Sea Borough Council and South Essex Homes fully support the drugs enforcement action undertaken by Essex Police today. Some of the addresses targeted following the execution of warrants under the Misuse of Drugs Act are Council properties managed by South Essex Homes. Possession proceedings which could ultimately lead to eviction will be commenced against any tenants found to have been in breach of their tenancy conditions as a result of police action. Both the Council and South Essex Homes continue to build on their positive partnership work with the police and will take rigorous action where homes have been used for illegal activities. A private landlord has been fined for failing to repair his property and leaving his tenants to suffer damp, draughty and hazardous conditions for two years! Terry Frost, of Cotswold Road, Westcliff, had denied failing to comply with an Improvement Notice issued under the Housing Act 2004, but he was found guilty when he appeared at Southend Magistrates’ Court on Monday 26th September. Frost was fined £2,000 and ordered to pay £1,500 costs plus a £15 victim surcharge. “We have many good landlords in the borough and we are trying to encourage those who don’t presently meet the standards we require to manage their properties more effectively. The court heard how Southend Council had tried repeatedly to deal with the matter informally before finally serving the Improvement Notice in December 2010. This listed a series of repairs required to bring the property up to the appropriate standard and allowed several months for the works to be completed. They included renewing defective windows, refurbishing the kitchen, improving security, work to minimise dampness and tackling a mouse infestation. The Council was forced to prosecute after a re-inspection of the property revealed most of the repairs were still outstanding, even though the Notice period had expired. In addition to being fined Frost remains responsible for ensuring that all the works required are completed.